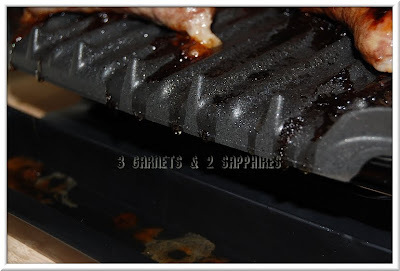 My husband and I remember when the original George Foreman Grill made its debut. We actually were the proud owners of one. 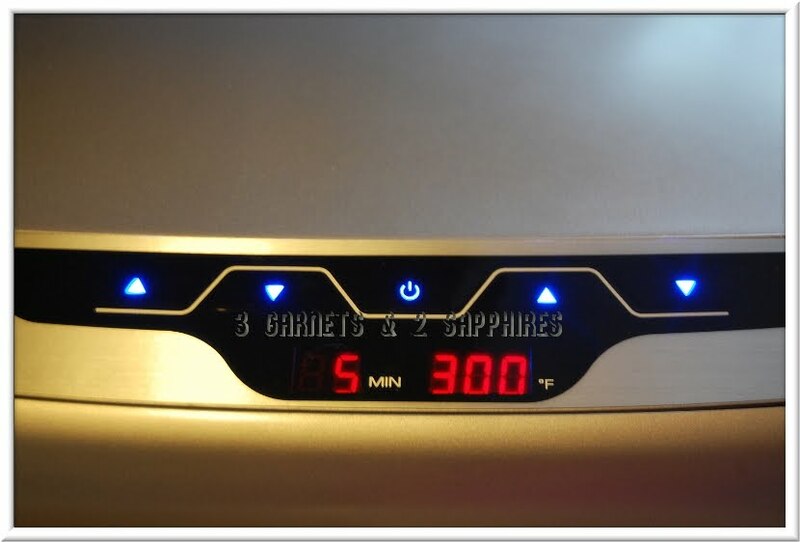 Today, George Foreman Healthy Cooking offers a wide array of electric grills to fit your household's particular needs. 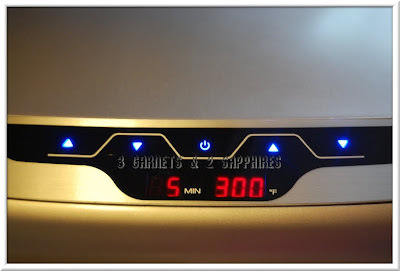 For our family of five, the Evolve Grill-Bake-Muffin electric grill seemed like the perfect one since it is fairly large and extremely versatile. It also performs several functions without the clutter of extra pans and accessories we do not have room for in our little shoebox of a townhouse. This grill is extremely user-friendly. There is not an abundance of different buttons or confusing settings to worry about. 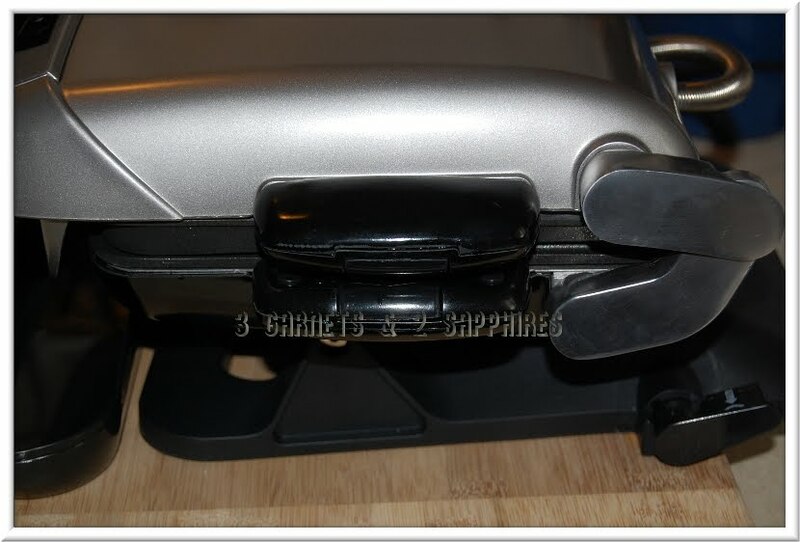 If you have any problems, the included manual contains step-by-step instructions for the various ways this grill can be used. The Evolve Grill-Bake-Muffin electric grill comes with two grill plates, a deep dish baking pan, a muffin pan, a drip tray, a spatula, and a pan handle. Each pan is made with the "George Tough" non-stick coating so there is no need to use oil or cooking spray, which results in healthier cooking. The other way the George Foreman grills make cooking healthier is the tilted surface that allows most of the oil and grease to drain off from your food into the drip tray. Since this grill is designed for multiple uses, there is a lever that allows the grill to move from a flat position to a tilted position. 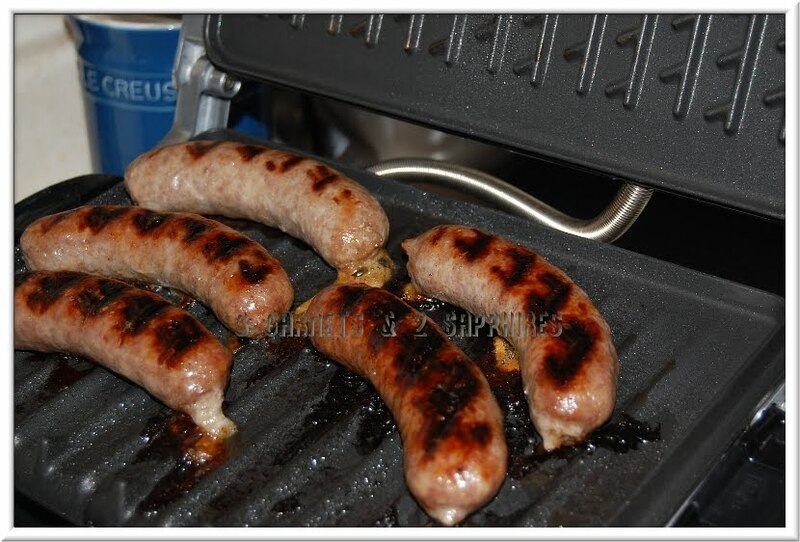 You may know from visiting my site in the past that we are huge fans of grilling brats. So what better way to break in our new grill than to cook up some brats to be topped off with some onions and peppers? The difference in the brats was so noticeable that even our 6 year old son commented about how they were juicy, but not oily. 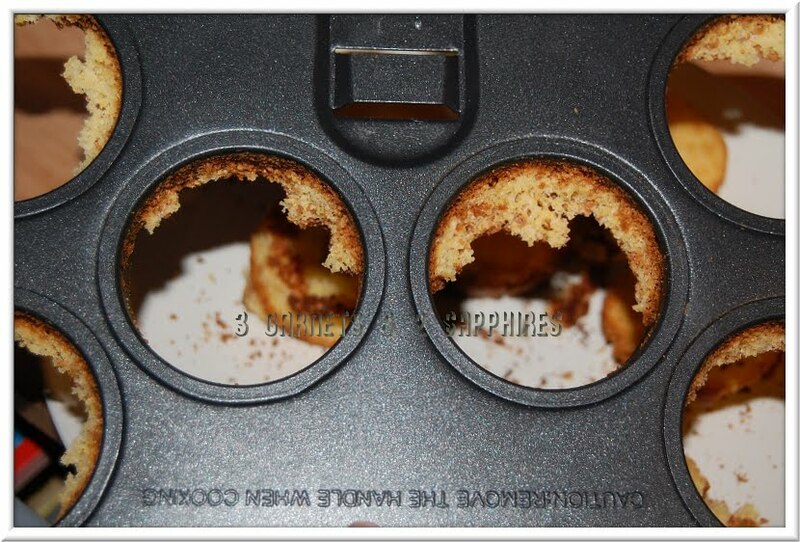 I also tried out the bottomless muffin pan which sits inside the deep dish baking pan. I had intended to make corn muffins and was a little concerned about how shallow the muffin tin was. My corn muffins seemed to have baked just fine. I followed the time and temperature on the mix rather than what was suggested in the manual. I put the whole muffin pan minus the baking pan on a metal rack to cool just as the manual instructed. When it came time to remove my muffins, I ran into a problem. 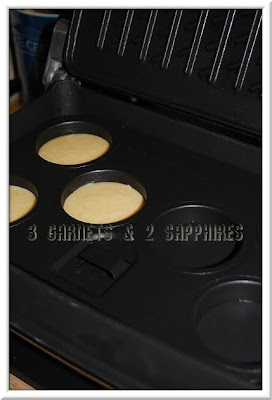 They did not come out easily and the edges stubbornly stuck to the the pan. Next time I use this pan, I am most certainly going to grease it. 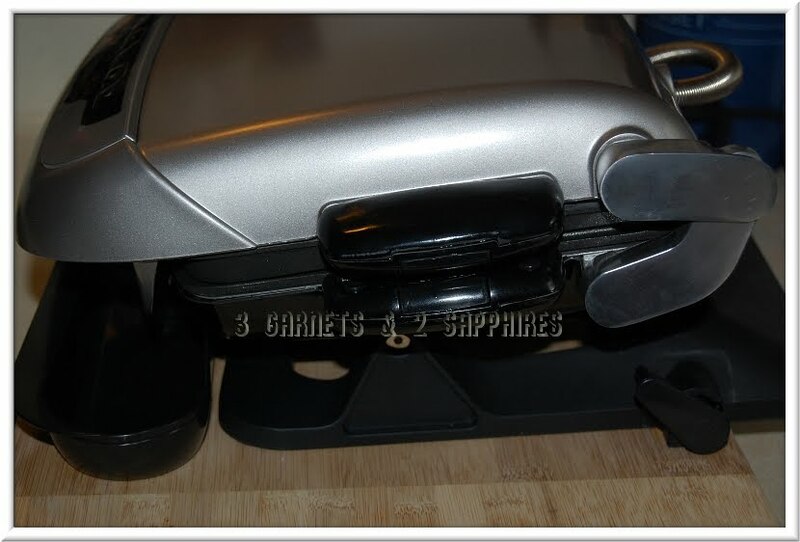 One thing I remembered about our very first George Foreman grill was how difficult it was to clean even though we tried to do it while the grill was hot. It seems that the brand has made several improvements in this area. First of all, the removable pans make cleaning much easier. Secondly, there seems to be improvements made to the non-stick coating in general. The pieces were easier to clean than a regular grill, but they still needed to be scrubbed like any other non-stick pan that has a greasy mess on its surface. Other than my issues with the muffin pan, we were extremely pleased with this grill. It heats up very quickly and has enough surface area to cook brats, hot dogs, and mini hamburgers for the five of us all at once. 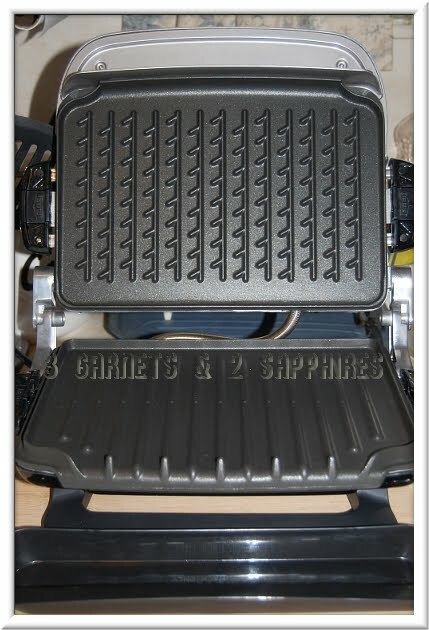 This particular George Foreman grill is definitely family-friendly. 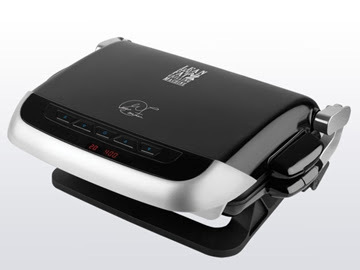 To view the full line of George Foreman electric grills, visit GeorgeForemanCooking.com, where you can order products right on the website. You can also find George Foreman Cooking on Facebook and on Twitter. This post was written for the Family Review Network & George Foreman Healthy Cooking, who provided the complimentary product in exchange for my honest review.